The preseason is ramping up to full gear, and if you're just swinging by there might be some pressing questions on your mind. Check out this quick and dirty guide to preseason that will get you up to speed. Q: Where are my masteries? A: They're gone and replaced by runes. Q: Where are my runes? A: They're gone and replaced by runes that look like masteries. A: You get either AP or AD depending on which one you have more of (including items). 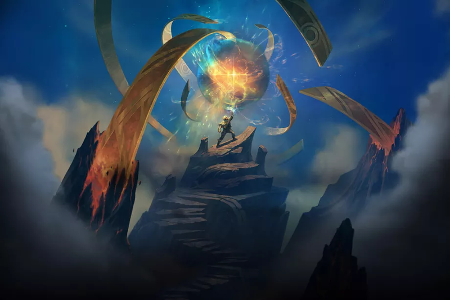 Riot just made it shorter to write in the rune descriptions. A: You gotta use Blue Essence instead. Q: What's this EXP bar after I end a game? A: You can go past level 30 now. Q: What do I get after level 30?! A: Champion shards, blue essence, some exclusive emotes and ward skins, etc. Q: What's the max level? A: There is no max level. A: The ranked season has ended and Riot wants to throw you all for a tailspin. Q: Can I still get ranked rewards for this season or next? A: No, last season is over and you need to wait for Season 8 to start. Q: Can I still play ranked? A: Yes, but it's not really ranked and people probably won't be trying as hard. Q: Which rune keystones are OP? A: These are the ones most people are using at the start of the season. Q: Which champions are OP? Got more must-knows for preseason? Leave a message in the comment section below!